It is crucial to ensure dependable regional water access for residents and organizations. For that reason, the Middle Illinois Basin planning team conducted a water supply planning process across a seven-county region that includes regulatory, research, and public outreach elements to identify gaps between water supply and demand. To ensure a comprehensive process, this endeavor involved collaboration among the Illinois Department of Natural Resources (IDNR), Illinois State Water Survey (ISWS), Illinois State Geological Survey (ISGS), and Tri-County Regional Planning Commission (TCRPC). 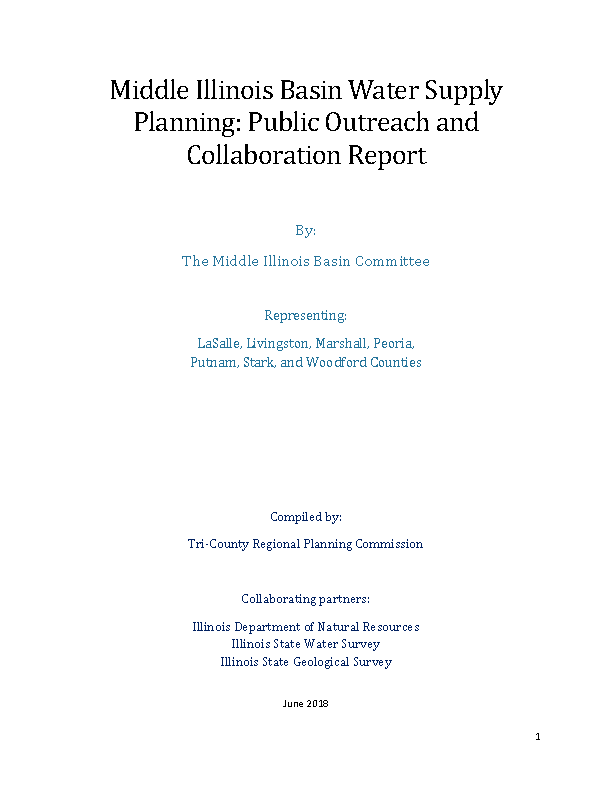 This document outlines the public outreach aspect of the process, compiled by TCRPC and produced by the newly formed Middle Illinois Basin Committee (MIBC). The planning process originally began in 2014, and at the time, TCRPC had assembled a group of MIBC stakeholders in conjunction with North Central Illinois Council of Governments. That original planning team had also created a questionnaire, which numerous stakeholders completed. However, that planning process was cut short due to funding before the end of its contract in 2015. In November of 2017, TCRPC received funding from the IDNR to revive the past planning process and continue forward to completion. During this more recent endeavor, the team contacted and assembled the MIBC (using some framework from the initial process), which included representatives from water-related groups, industries, municipalities, agriculture, the public, and others from seven counties: LaSalle, Livingston, Marshall, Peoria, Putnam, Stark, and Woodford. 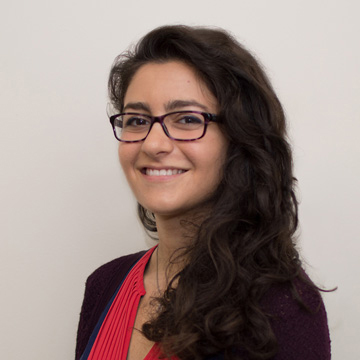 After forming this committee, MIBC members attended three meetings in 2018, were able to learn about ISWS draft reports and modeling, and could submit comments and questions to the planning team. This report outlines the results of the process and the data from the MIBC comments. The planning team analyzed data from both closed- and open-ended responses from the questionnaire developed by the previous team, plus additional comments. The planning team categorized open-ended feedback using the coding process, which is a means of quantifying qualitative data by sorting text into themes. Coding involves an iterative process of reading through responses, assigning them “codes,” or categories, and organizing the code list. Between the two years’ worth of data, a total of 214 distinctive comments were collected, spanning 13 codes including Industry and Development, Infrastructure and Engineering, Education, Water Quantity, and Water Quality. Above all, the depth and breadth of the data underscored the necessity to continue the planning process in the future. Once additional funding becomes available, the MIBC will plan to create a list of recommendations based on the results of this planning endeavor.